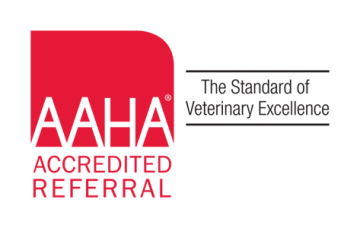 Interventional Radiology is an exciting field that allows for non-invasive treatment of many diseases in small animals that were previously difficult to treat. Through advanced imaging technology, we are now able to view nearly every structure in the body, allowing us to make comprehensive diagnoses of problems and treat animals with more targeted therapies. The Foster Hospital for Small Animals' radiology unit includes X-rays, fluoroscopy and CAT scans. Once a particular organ is imaged and a diagnosis made, our veterinarians can use a variety of catheters, coils, stents, glue or other devices to improve blood flow to certain organs, stop blood flow to other organs or safely deliver drugs directly to cancerous tissues.